"Condolences from Yvette's roommate at Woodland's, Millie..."
"Yvette was such a loving person. She brought light to all..."
"My sincere sympathies to Yvette's family and loved ones. ..."
WATERVILLE - In the early morning of Sept. 4, 2018, our dear sister, Roberta Yvette Moreau, entered through the gates of heaven where she is rejoicing with her parents, Harmond and Rose Gagnon. Yvette lived her growing up years on the 'Ten Lots' in Oakland. After her graduation from Williams High School in Oakland she lived in Waterville being both friend and caretaker for Cecile Bushey. Later years were spent in Winslow until she moved to the Woodlands Senior Living in Waterville. Her loss will be felt by all those who knew her. Especially her two brothers: Robert Moreau and his wife Janice of Rome; Ronnie Moreau and his wife Jane of Fairfield; her niece Tammy Boulette and her husband Alan of Hope; her nephew Robert Jay Moreau Jr. and his wife Jeanne of Oakland; five great-nieces and nephews: Nick Boulette, Jenifer Boulette Tingler, Nathan Boulette, Allison Boulette Harris, Whitney Moreau Raymond; her ten great-great-nieces and nephews: Dylan and Alex Boulette, Isaiah and Xavier Tingler, Elia, Lucy, Mia and Hazel Boulette, Connor and Gemma Harris. 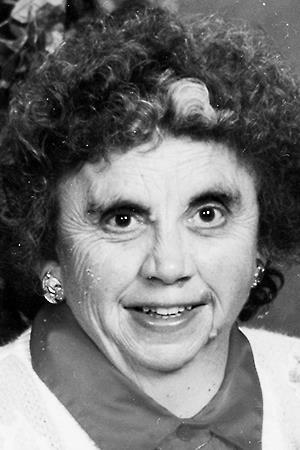 She was predeceased by her parents and the love of her life, Jim Butler, who died in 2016. She was truly a child of God and a friend to all. She loved her Church with all her heart. May she receive the love and peace she so richly deserves in the hands of God. Visiting hours will be on Tuesday Sept. 11, 2018 from 4-7 p.m. at Veilleux Funeral Home, 8 Elm Street, Waterville, Maine. A Mass of Christian Burial will be celebrated at 11 a.m. on Wednesday Sept. 12, 2018 at Notre Dame Catholic Church, 112 Silver Street, Waterville with burial following in Saint Francis Catholic Cemetery, 78 Grove Street, Waterville. Please visit www.veilleuxfuneralhome.com to share condolences, memories and tributes with her family.